Don't be upset with samsara. Why should you be upset with your own dream? Soon you will wake up in Sukhavati - the enlightened (awaken) realm of Amida and all the delusions and sufferings of your dream state will be over. All your experiences in the samsaric dream will seem like they have never really existed. You will then have a good laugh at everything and immediately start an endless activity of awakening others from their various dreams and nightmares. But until you wake up in Sukhavati, everything you do here and anything that happens to you, belongs to the dream. You are trying to solve illusory problems in illusory cities and countries, fighting for illusory goals and being mad at other dreaming people over illusory situations. Question: How can I be sure that I say Nembutsu in the right way? 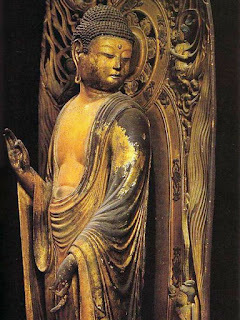 You often use terms like “the genuine/true Nembutsu”. What is it exactly and how it differs from a Nembutsu said in the wrong way? Answer: The Name of Amida Buddha is not your property, and it does not work because of you. It works because of Amida. Your saying of the Name is effective because Amida put all His Power and infinite merits in His Name. After my birth in Sukhavati and attainment of Buddhahood there, I will always wear the image of Amida on the crown of my head, like Avalokitesvara. Wherever I'll go in the ten directions to save sentient beings, and whatever form I will manifest for their sake, this will be one of my main features as a Buddha. 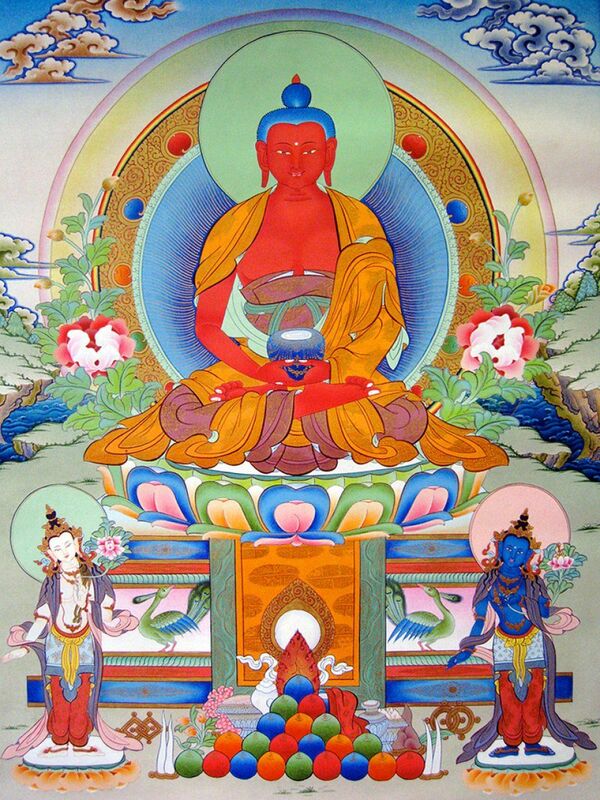 In all the places of the universe I will proclaim the Primal Vow of Amida and help all beings entrust to Him. I will be a guide towards Amida's Light, a ship for His Pure Land, and a witness to His Holy Name. Wherever beings will say Amida's Name I will be there to protect them against all obstructions; they will have in me a constant companion and friend, and to those who don't entrust to Amida yet, I will be like their own shadow, never being separated from them even for a moment until they receive faith. 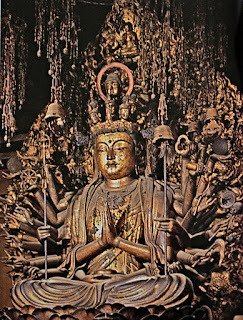 The reason why in a Nembutsu follower’s heart coexist both faith in the Primal Vow and his blind passions and illusions is that this faith doesn’t belong to him. This is another important aspect of the Jodo Shinshu teaching. It is said that in a poisonous Eranda forest grow only Eranda trees and not the famous Chandana trees with their fine fragrance. It is a miracle if a Chandana tree grows in an Eranda forest. 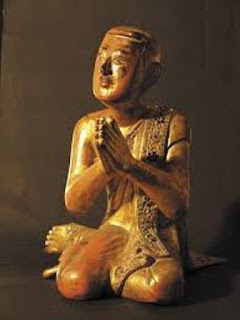 Similarly, it is a miracle if faith in Amida Buddha flourishes in the people’s hearts. How can it be possible that from human passions the faith in Buddha be born? The answer is that this phenomenon is practically impossible and that faith in Amida is not the product of our minds, but what Amida plants in us. 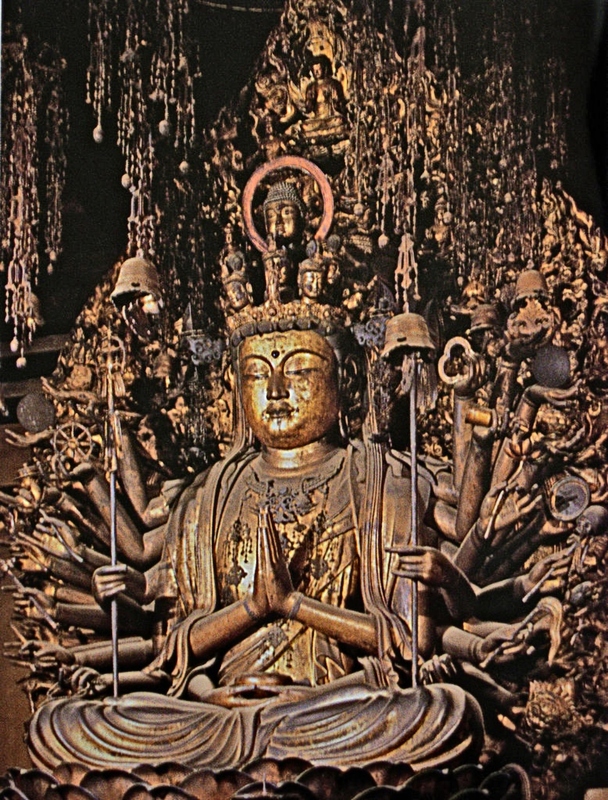 That is why shinjin or the entrusting heart is called “rootless faith” for it has no roots in the human mind but in Amida’s Power and Compassion. The same thing happens with saying the Name which expresses faith. Everything comes from Amida and manifests like an echo in our minds and on our lips, just like a child who faithfully answers his mother’s calling. I already explained in detail the Primal Vow (18th) and showed that faith in Amida’s Power is the cause of birth in the Pure Land. However, the situation is that not all practitioners are able to give up entirely the attachment to their personal power in reaching birth in the Pure Land. They simply cannot rely exclusively on Amida but think there is still something they need to add to His Power so that they will deserve to be born in the Pure Land. Thus, they remain attached to the idea of merit accumulation even if they also put some trust in Amida. 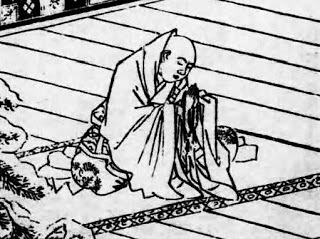 This kind of faith mixed with reliance on their own so called “merit” and personal power is not in accord with the Primal Vow, but still Amida does not abandon such people. Especially for those who are not capable to rely exclusively on Him, but still wish to be born in His Pure Land, Amida created the 19th and 20th Vows. "The true disciple of the Buddha means this: 'true' contrasts with false and provisional. 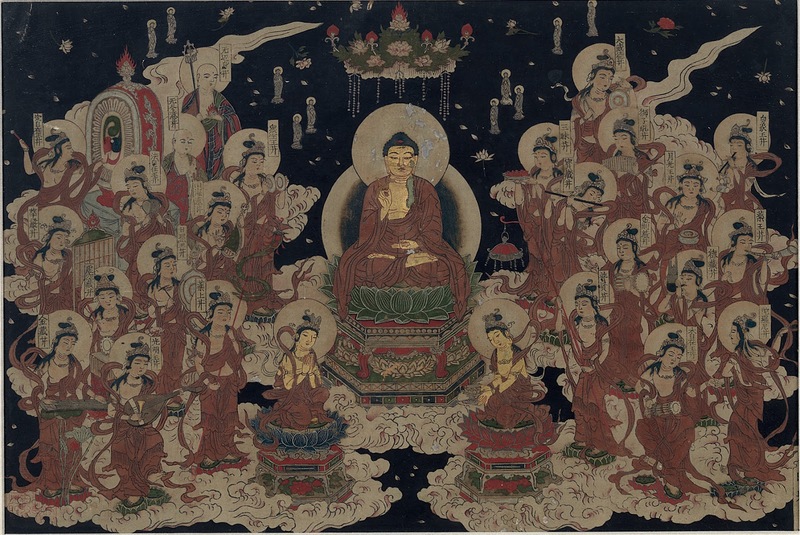 'Disciple' means a disciple of Shakyamuni and other Buddhas, namely, the practitioner who has attained adamantine faith (shinjin). 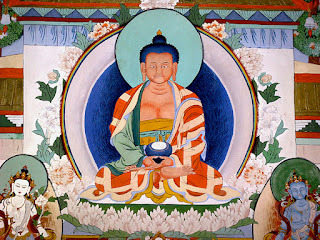 Because one certainly realizes great Nirvana with this faith and practice, one is called a true disciple of the Buddha". This means to take refuge in Amida Buddha who is the central Buddha in Jodo Shinshu. 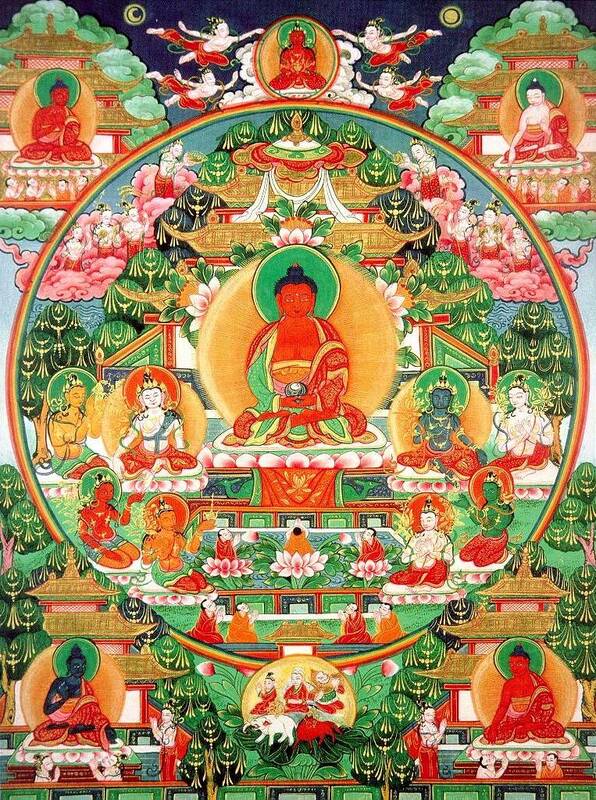 Only through Him can we attain Buddhahood in the Pure Land as He is the only Buddha among all Buddhas who made the Vow of saving everybody, no matter their spiritual capacities. 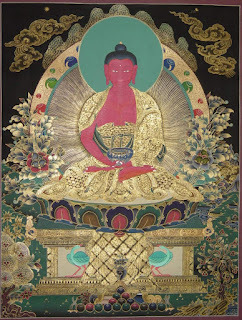 By taking refuge in Amida, we automatically honor and take refuge in Shakyamuni Buddha as the Teacher who showed us the path of Amida Dharma (His main reason for coming into this world) and in all Buddhas in the ten directions, as all encourage us, teach us and guide us to entrust to Amida Buddha. 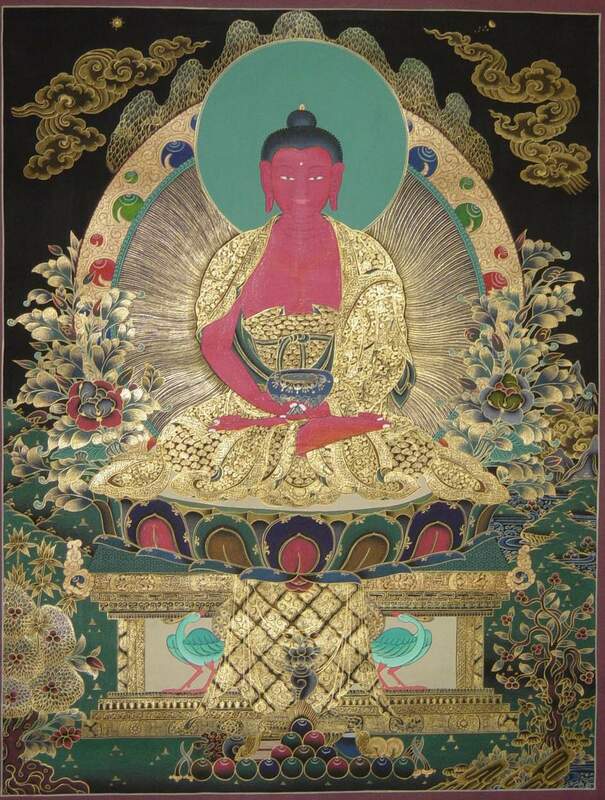 By receiving faith (shinjin) and saying the Name of Amida we enter, in this life, in the stage of the truly settled for birth in the Pure Land, where we’ll actually go after death, and where we’ll immediately attain Buddhahood (Nirvana). 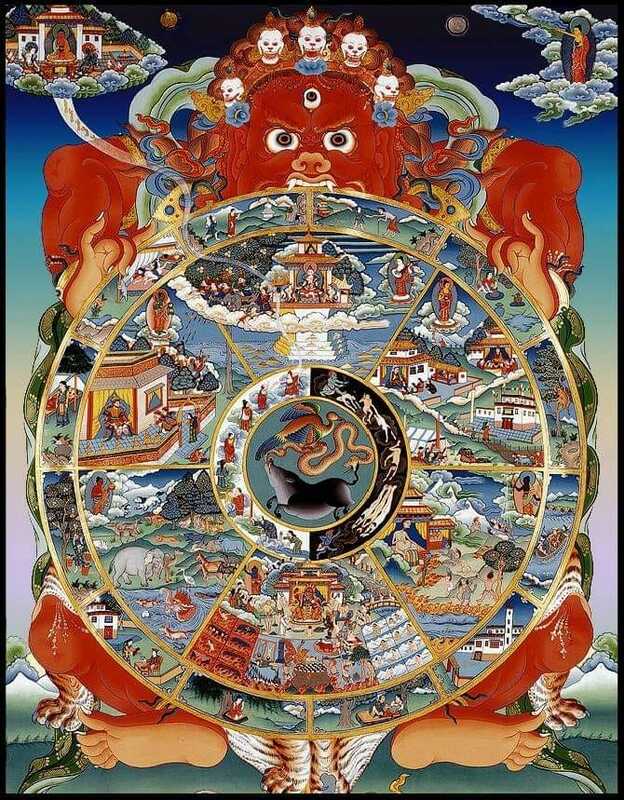 This is also called the stage of non-retrogression, the stage of definite assurance, the group of the rightly established stage, the stage equal to perfect Enlightenment, the stage equal with Maitreya, etc. 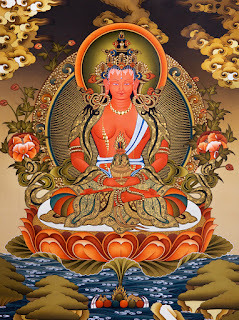 "When we, ordinary people filled with evil passions, the multitudes defiled by karmic evil and subject to birth and death, attain the faith and practice transferred by Amida for our going forth, we will immediately join the Mahayana group of the rightly established stage. Because we dwell in the rightly established stage, we unfailingly reach Nirvana". 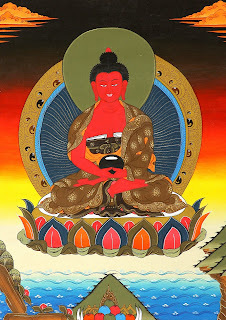 2) that only Amida Buddha can save us through His Vow Power (Other Power), without asking anything from us. 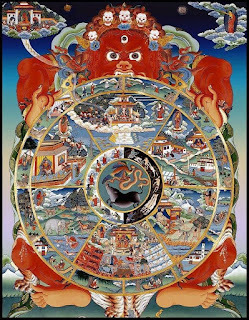 The repeated births and deaths of samsaric existence are not a matter of mythology but a real danger for the unenlightend beings and the most important problem to be solved while we are still enjoying the rare karmic circumstance of being born a human being and meeting Amida Dharma. 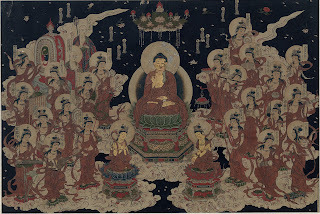 If the follower deeply realizes that samsara is not the place where he should build himself a destiny, but a never-ending cycle of momentary or false hapiness and disatisfaction, and that he cannot escape from it through his own powers, he may reach the point when he accepts Amida Buddha’s helping hand that is extended to him. The receiving of faith (shinjin) is equivalent with escaping a great burden. We know that we’ll become Buddhas in the Pure Land of Amida, no matter our present situation. This joy is like the relief you feel when a great burden is taken from your shoulders, and indeed there is no greater burden than to be unenlightened and a slave of samsaric existence. 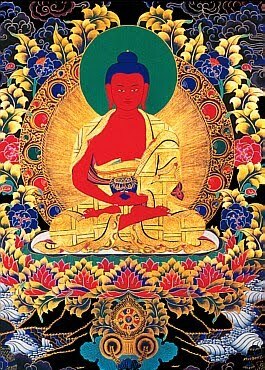 The burden of your liberation is carried by the Buddha called Amida, who already crossed the Path for you. Anybody who carries a great burden is happy when that is taken away from him, so you can be happy or feel relief when you first entrust to Amida Buddha, if attaining Buddhahood or final liberation from birth and death is the most important matter for you. However, this doesn’t mean that hour by hour, minute to minute, second to second, you will think on Amida or feel a continuous joy as to jump in the air. Our lives are in such a way that we can always be overwhelmed by daily problems and worries. But its ok, its simply ok to be like this. We are not compelled to always jump with joy because we are saved by Amida. Despite of this, the salvation of Amida is always present, as our simple faith in Him remains with us since we first received it in our hearts. I usually explain that faith, once received, becomes like breathing, always being there although you don’t always express it consciously. We don’t always feel our breathing, but this doesn’t mean that breathing doesn’t exist. Sometimes we feel it better when, for example, we are fascinated by the clear air of the mountains or of a beautiful morning and we take long and deep breaths, while some other time we are too hurried and busy in our daily life to concentrate on it. 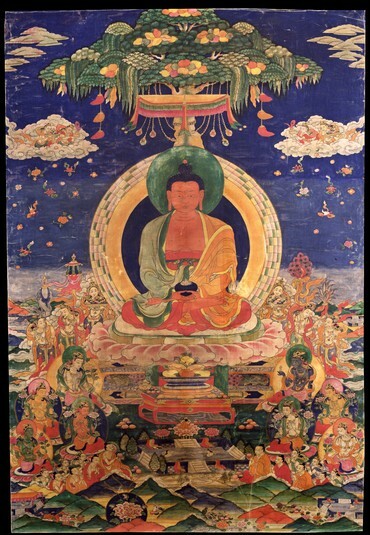 If the 1st benefit described the protection of various powerful unenlightened beings (worldly protectors), the 4th speaks about the protection of all Buddhas (enlightened protectors), and the 6th refers to the special protection of Amida Buddha himself. I decided to explain the 4th and 6th benefit together because they are interrelated. The 4th and 6th benefits include but are not limited to, protection against various influences from external evil forces, sorcery, black magic, evil spirits, etc. And therefore are my true companions'. the Master of the teaching". 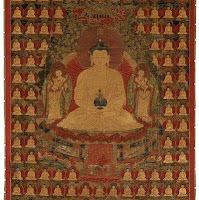 "Sakyamuni rejoices in persons of shinjin, saying, 'They are my true companions'”. Endows merit to them. All who aspire for birth in the Pure Land attain Birth there. „When we acquire adamantine true faith we unfailingly gain ten benefits in this life. What are the ten? 10. The benefit of entering the stage of the trully settled. (non-retrogression)" NEW! I will explain each one of them in separate short articles. Please click on them to read the explanations. This is a more in depth presentation of an older study that I made many years ago. Please have patience until I finish it. Why did Shinran say that we should not wait for Amida’s coming at the moment of death? Why did Shinran say that we should not wait for Amida’s coming at the moment of death? Will Amida not come for people of shinjin? 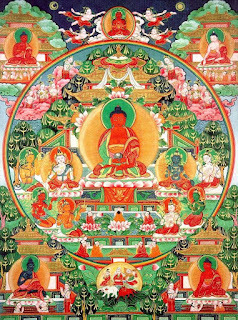 You said in one of your recent posts that as long as you still harbor in your mind the smallest thought of personal merit or “maybe I can attain Buddhahood by myself” kind of thinking, you cannot see and enter the Dharma gate of birth in Amida Buddha’s Pure Land. Please explain in more detail. People don't really understand what is meant by becoming a Buddha in this life, and in this very body. This is perhaps due to the bad influence of many fancy Buddhist magazines which talk about Enlightenment like it’s some kind of calmness or stillness of mind which can be attained by everybody. They use a language which makes Enlightenment seem a normal human experience if you are good, and meditate, and they also describe Shakyamuni, the historical Buddha, like a normal human being who proved that spiritual calmness can be attained by anybody. Now, after so many pages in which I tried my best to explain in detail the elements of the Primal Vow, I would like to make a summary, so that you keep in mind its essentials. Click on the highlighted words to go to the specific part of the Primal Vow related to them. "If you sincerely and exclusively entrust yourself to me, say my Name in a relaxed manner, without being obsessed with numbers and special states of mind, and wish to be born in my land, then you will go there after death. If this will not happen, then it means I do not deserve to be called a Buddha, but you should not worry, because a Buddha always keeps His promises. However, the fact that I save you so easily, does not mean that I agree with your evil deeds, so please try your best not to do the five gravest offences. Don’t worry, I will save you anyway, no matter what you do, but please try your best to avoid them. Also, please notice that I really can’t save you if you slander the right Dharma, that is, if you deny my existence, and the existence of my Pure Land. If you do that, you are not actually entrusting yourself to me and do not wish to be born in my land, and the saying of my Name is false. Nobody can go to a place which he thinks it doesn’t exist and can’t be saved by someone whom he considers being an imaginary person. It’s logical, isn’t it? So, please entrust yourself to me as to a real, existing Buddha who manifested a Pure Land especially for you, wish to be born there after death, and say my Name. I am awaiting you! Please come as you are!" The so called “exclusion” in the Primal Vow: „excluded are those who commit the five grave offenses and those who slander the right Dharma." 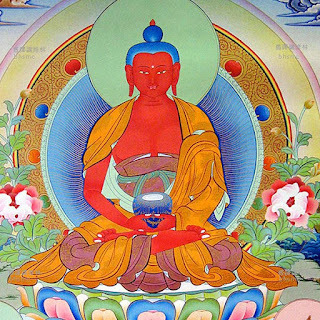 "If,when I attain Buddhahood, sentient beings of the ten quarters who sincerely entrust themselves to me, desire to be born in my land, and say my Name perhaps even ten times, should not be born there, may I not attain the supreme Enlightenment. Excluded are those who commit the five grave offenses and those who slander the right Dharma." Many people that come in contact with the Primal Vow of Amida Buddha experience two types of reactions: they are happy when reading the all-inclusive message in the first part, but they get unsure right after reading the last sentence: "excluded are those who commit the five grave offenses and those who slander the right Dharma”. "If, when I attain Buddhahood, sentient beings of the ten quarters who sincerely entrust themselves to me, desire to be born in my land, and say my Name perhaps even ten times, should not be born there, may I not attain the supreme Enlightenment." One who is sincerely in love will say „I love you” often or seldom, and wish to be with the person he loves. 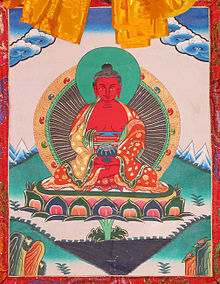 Similarly, a person who sincerely entrusts to Amida Buddha will express his faith by saying the Name of Amida and wish to be born in His Pure Land. It’s as simple as that.